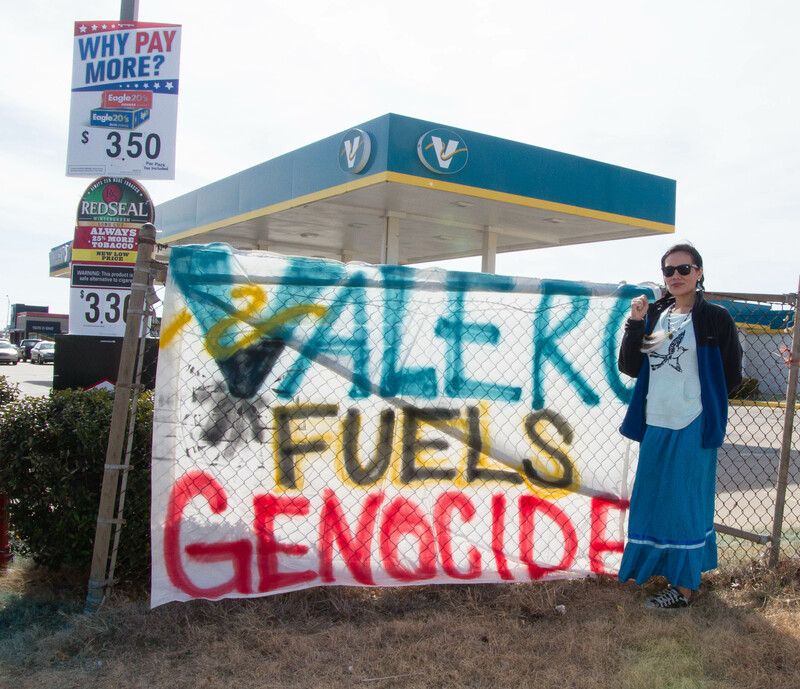 Ashley McCray, co-founder of group, No Plains Pipeline, stands next to “Valero Fuels Genocide” sign outside of the Valero gas station on I-240 and May on Wednesday, February 1st. 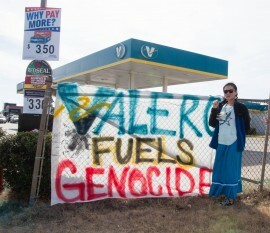 This is the 3rd reported demonstration outside of Valero gas stations around the city in the past 2 days. “We will be doing this as long as necessary until we get the message across (about the Diamond Pipeline and Valero’s involvement in it)” said McCray. According to the United States Securities and Exchange Commission (SEC), Valero has exercised its option to gain 50 percent of interest from the Diamond Pipeline. 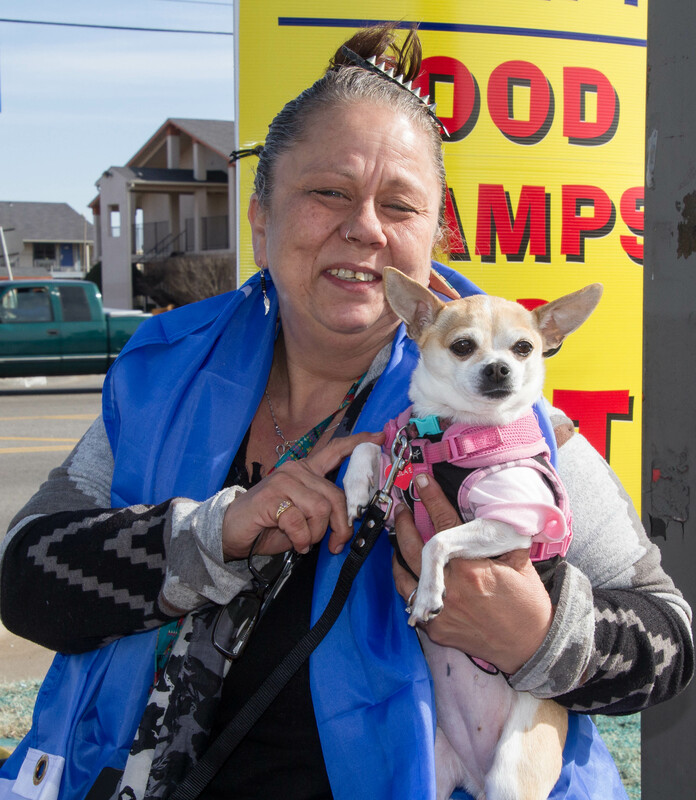 OCCC Early Childhood Education Major, Debbie Hartsell, participates in a nonviolent demonstration against the Diamond Pipeline.